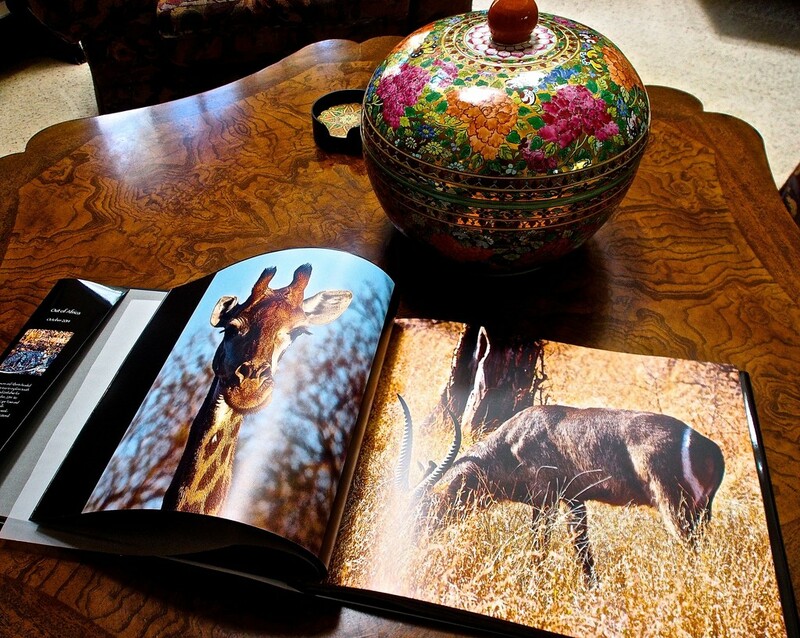 I was excited to finally receive the coffee table book I compiled with photos from my Africa trip in today's mail. The books I've done in the past have all been in an 8 1/2" by 11" format but I took a chance and went with the larger 11' by 15" version for this one. The resolution was surprisingly good so overall, I'd say I'm pleased with the result. Looks great! Do you use My Publisher or another company? The quality looks good. @taffy Thanks. Yes! I used My Publisher. Elizabeth - this is really something to be proud of !! Some publishing companies have really good definition and that has to be the best! These photos look absolutely superb! Beautiful composition. I have wildlife in my living room too....two boys! LOL! What incredible photos, and an awesome book. Beautiful.... I keep saying I'm going to do that with some of my trip photos someday, just never have. Great way to showcase your photos. Excellent work! @joemuli You can do a book of 100-120 pages so that would handle at least that many images if they were full page size. Fantastic quality, Do they give you the link so people can view on line, I would really love to see them! @panthora I'm excited to hear you're going to Tanzania! Yes, do bring your Burma album and I'll tote my book so you can see it. @panthora @redy4et Elizabeth, your book is stunningly professional looking! I've never made a purchase from this company and would also love to see your book! I'm wondering if the group might like to wind up the day in Ftn Vly for a bbq supper. Elizabeth, is Tanzania where you were? We'd all love to hear about it! And Osia, I'm so excited for you...AND that wonderful new camera of yours! Congratulations on the book - it must be thrilling to see your trip as a beautiful book.